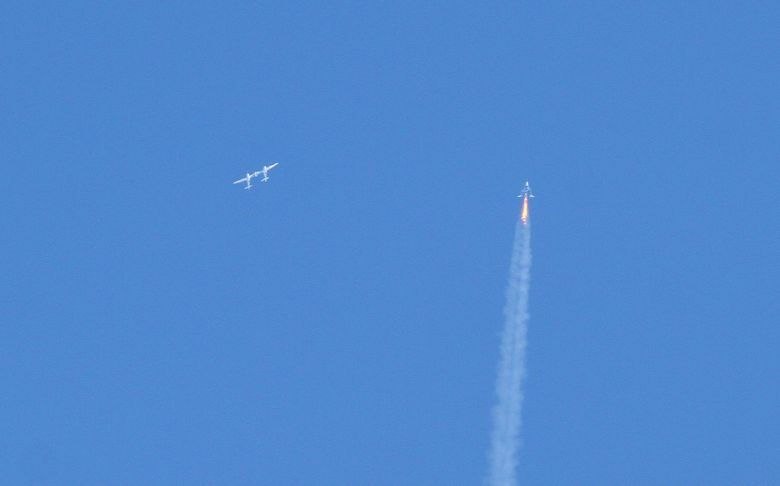 LOS ANGELES (AP) — Virgin Galactic’s rocket plane reached space for a second time in a test flight over California on Friday, climbing higher and faster than before while also carrying a crewmember to evaluate the long-awaited passenger experience. 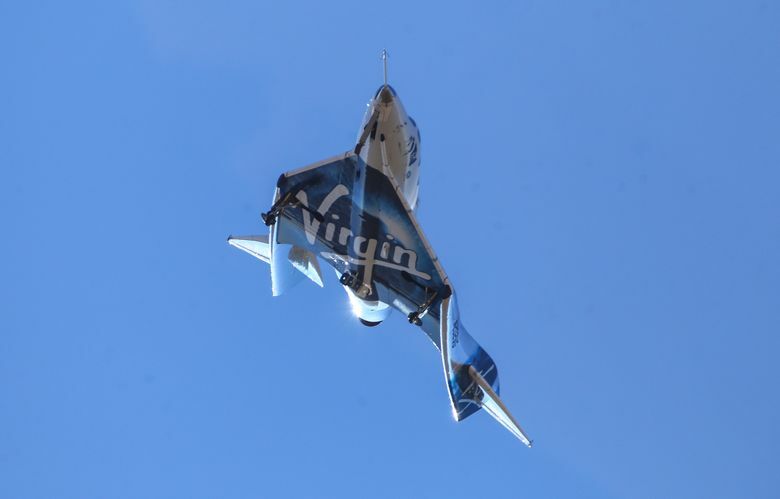 In addition to chief pilot David Mackay and co-pilot Mike “Sooch” Masucci, the crew included Virgin Galactic’s chief astronaut instructor, Beth Moses. “Sad to miss spaceflight but looking forward to the concert,” he wrote. Earlier this month, the rocket motor from that flight was donated to the Smithsonian’s National Air and Space Museum in Washington, D.C., and pilots Mark “Forger” Stucky and Rick “CJ” Sturckow were awarded commercial astronaut wings by the U.S. Department of Transportation. 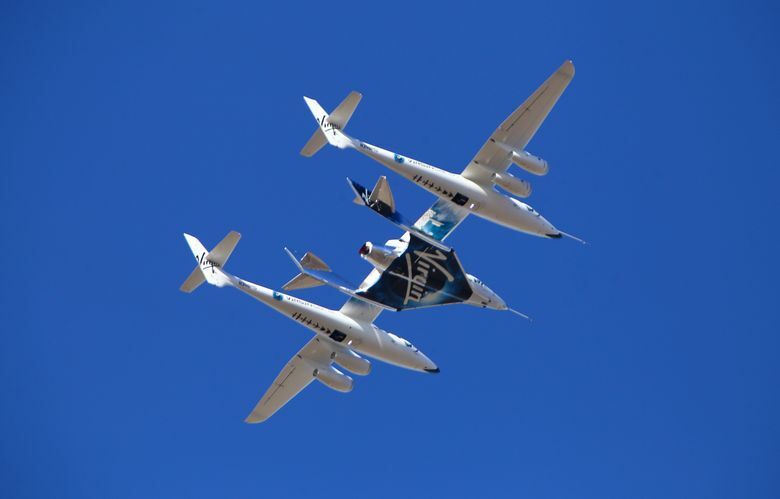 The only previous commercial astronaut wings went to pilots Mike Melvill and Brian Binnie, for their 2004 flights in SpaceShipOne, the predecessor to Virgin Galactic’s rocket plane, which is a design called SpaceShipTwo. The “feathered” configuration is used to slow and stabilize the craft as it falls back into the thickening atmosphere. The name came from designer Burt Rutan comparing the mechanism to the feathers of a badminton shuttlecock. The tails rotate back to normal position for the glide to Earth. “If we have sort of a nominal-duration burn we will get up pretty high, but that is not one of the formal test goals for this one,” he said. “That’s not to say that we are fully done with vehicle testing, but we really are starting to move into the interiors testing phase, and that’s a really important milestone for the company,” he said. “We’re getting there, I mean we’re making good progress, and I don’t think it’s a huge remaining number now. There’s light at the end of the tunnel now,” he said. 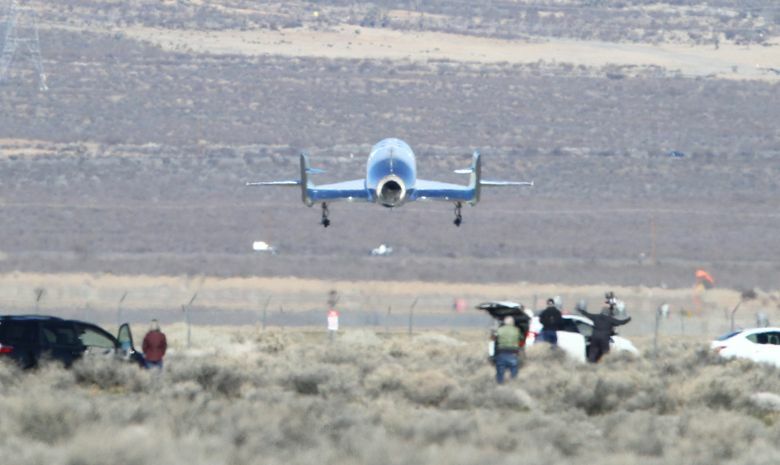 “I think he’d love to fly as soon as possible, and we’d love to figure out ways to enable that to happen,” he said.